For as long as I can remember through the .. wow, what.. TWENTY EIGHT DeMaio family Christmas Eves I have been through, there is one word that can describe the evening: Madness. Yes, it’s fish x7 madness. It’s family madness and damn that is DEFINITELY the best kind. Lauren here, your Magic Bullet Blender Kitchen Magician… and if you haven’t learned so already, it is FAR easier to slam a curve ball out of the park if you have the Magic Bullet Blender on hand. My father, ‘Luscious Louis’ as I like to call him, heart of gold … but hell you arm him with a grocery list … and you better BUCKLE UP. Being that it was getting down to the wire and my mother and I had worked a bit later than we had originally thought, Louis was given the list for the fish market.. double the amount of some things, extra this, extra that, and then 2 pounds of fresh picked lobster meat. Why? Because they had it. No one asked for it. He got excited, knows I love it, and BOOM. Lobster. ‘Guarnaschelli! Zakarian! Chopped!!! It’s like you’re on Chopped!’. Then my mom, ‘Debbie the Demolisher’ starts with ‘how she Loves Chef Aaron! Oh and Chris Santos is so handsome!’. Stuck between a rock and a hard place and four hours until guests arrived – I yet again, leaned on my glimmer of hope .. the Magic Bullet Blender .. and that baby KILLED it. *Note: You are so welcome to make your own pie crust. I bet Chef Scott has a bangin simple way. But it was Christmas Eve. And I was short on time, and mental capacity. *Note: Optional but SO recommended. We had used it in lobster bisque a few weeks back. Adds GREAT flavor, you don’t need much and has a long shelf life. IF you use the lobster base, I personally do not add any additional salt as this has a lot of sodium. You want to make sure you have some time to let this sit and cool afterwards. Once it rests after baking, you can slice that baby up and serve warm. This is what we did and served as one of the appetizers. After cooled, pop it in the fridge overnight. Take it out an hour before serving, cut and serve in squares or mini slices as an app. 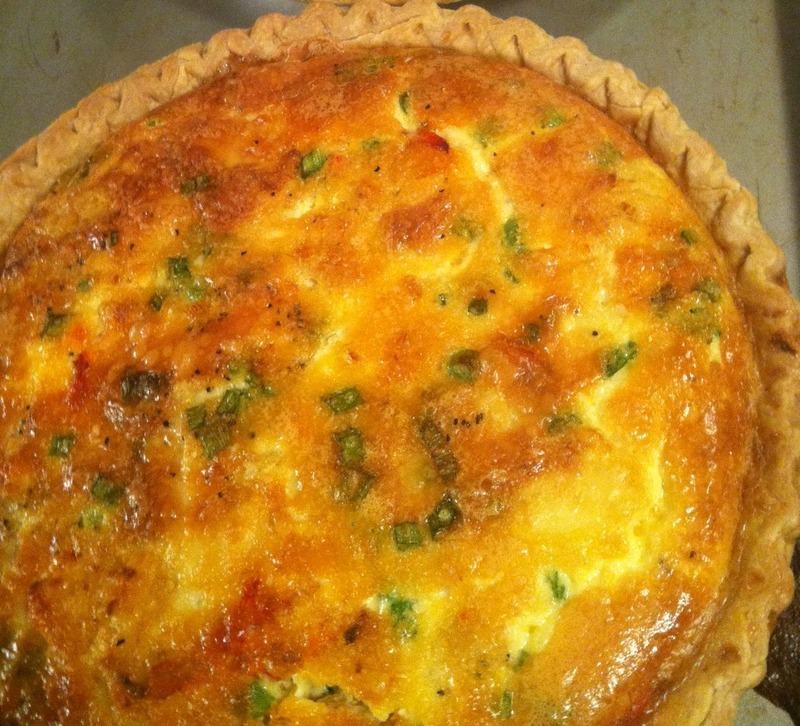 – BRUNCH: Whip up one a ‘pie’, or quiche of any type – serve it with a side salad – Sunday Brunch. Done. And what do I always tell you I love… ? MAKING IT AHEAD.. This recipe lets you do that. I know, I know – cheese and fish – a no no. Well, in this case I am calling it an exception. An EXCEPTIONAL exception. And yes, lobster is a splurge, I am well aware. But hey I like to cover all my bases with you. I give you dressings, cookies, sauces, etc… every so often I have to throw something badass in there. 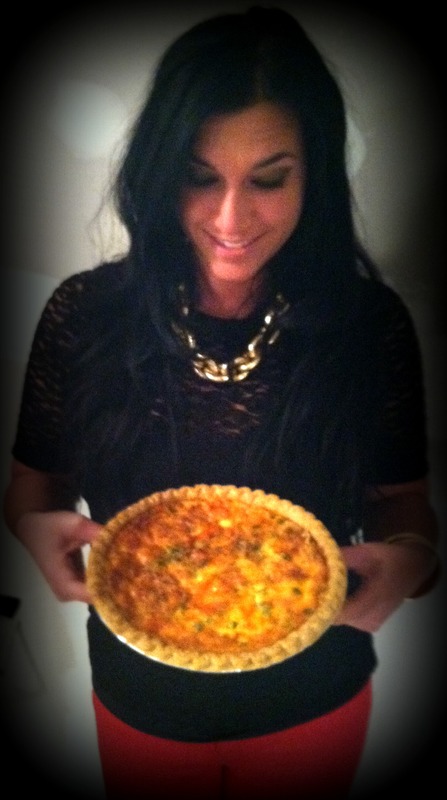 And not only did this baby get RIDICULOUS reviews by some of my biggest, female, cooking-for-their-whole-lives, Italian through and through critics – but it also gives you a BASE to work off of for any quiche type dishes you’d like to give a shot. I’ll be touching base with you again Thursday, but in the meantime and as always, HAPPIEST BLENDING.. from my big nomadic heart – to all of Yours. That looks crazy good. I would have never thought of pairing brie with Lobster.